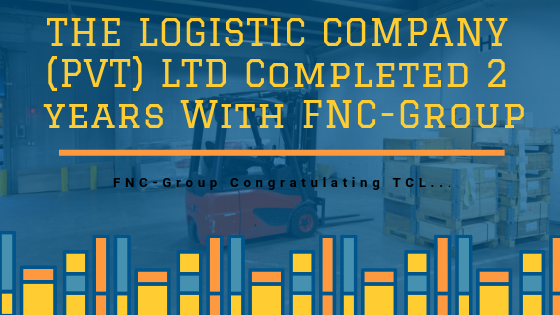 THE LOGISTIC COMPANY (PVT) LTD Completed 2 Years With FNC-Group. The Logistic Company Pvt Ltd established Since 2004 in Lahore , Pakistan. The Logistic Company Pvt Ltd established Since 2004 in Lahore , Pakistan.TLC is Customs Broker Registred company in Freight Logistics. TLC offers various Services such as-Air freight,Sea freight,Consolidation,De consolidation,customs clearance at all major air ports and Dry port. The Logistic Company generally known as TLC established since with aimed to provide the total logistics solution in efficient manner for client satisfaction. TLC accomplish this by its skilled and professional operation teams, which possesses experience and knowledge to handle the cargo move by Sea, Air, and Road/Rail Ramp. The Logistic Company officials with experience of 2 decades, and enjoying a good reputation as Sea / Air freight forwarder, Charters & General Agents in the Islamic Republic of Pakistan with Head office located at heart of the city Lahore, Pakistan while other branches located in other cities of Pakistan. The Logistic Company is a freight management and clearing forwarding company that has few equals in their ability to provide exceptional services, servicing the needs of a growing list of clients shipping goods all over the world. TLC is the Member of FNC- group Since 16 oct 2017. Mr. Sajid Zaman is the Director of the Tlc.